ARCADIA, Calif. Oct. 19, 2016 – Less than four years ago, the California Retirement Management Account (CARMA) launched its Placement Program with the goal of transitioning five race horses at a time from the track and into the next phase of their lives as beloved pets. 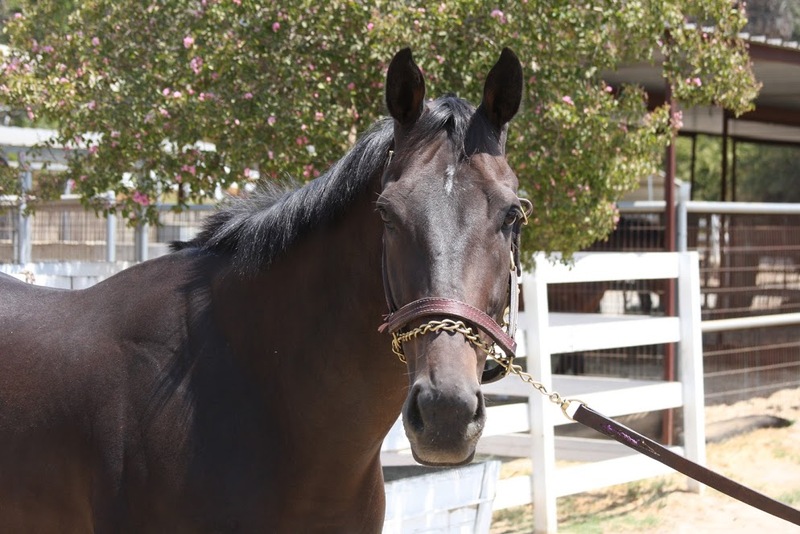 The nonprofit is proud to share it has grown tremendously since its humble beginnings – now handling an average of 17 horses and recently assisted its 100th California-raced Thoroughbred. In CARMA’s early beginnings in 2007, the organization served strictly as an equine retirement fund awarding grants to 501c3s who care for off-track-Thoroughbreds. Its founder Madeline Auerbach recognized a missing link that connected race horse owners and trainers to those facilities. As a liaison between the horsemen of Santa Anita Park, Del Mar Thoroughbred Club, Golden Gate Fields and 24 approved nonprofit aftercare partners, CARMA quickly outgrew only tending to five retired race horses at a time. While some race horses who found success on the track or have complimentary bloodlines go to the breeding shed, the vast majority will need to find a new purpose and home. Often afflicted with injuries that will need careful rehabilitation and lengthy periods of rest, CARMA takes in retired race horses when the owners have exhausted other options. CARMA would not be able to provide such services without support from the Stronach Group’s After-Care Program and Thoroughbred owners who participate in the purse deduction program. One third of one percent of purses earned in California are automatically taken out of the participating owner’s share and given to CARMA to care for retired race horses. The Stronach Group then matches the amount raised at Santa Anita Park. “We are so grateful to Santa Anita Park and the Stronach Group for setting such a high industry standard for Thoroughbred aftercare,” said Mandella.